NO skating on Saturday, March 30th. The McKinney Centre is closed on Saturday, March 30th, for a private event. All Saturday programs will resume on Saturday, April 6th. Registration is open for Dryland Training with Signe Ronka from Flexa Fit. Sessions are on Monday & Wednesday evenings. Click on the title for details. 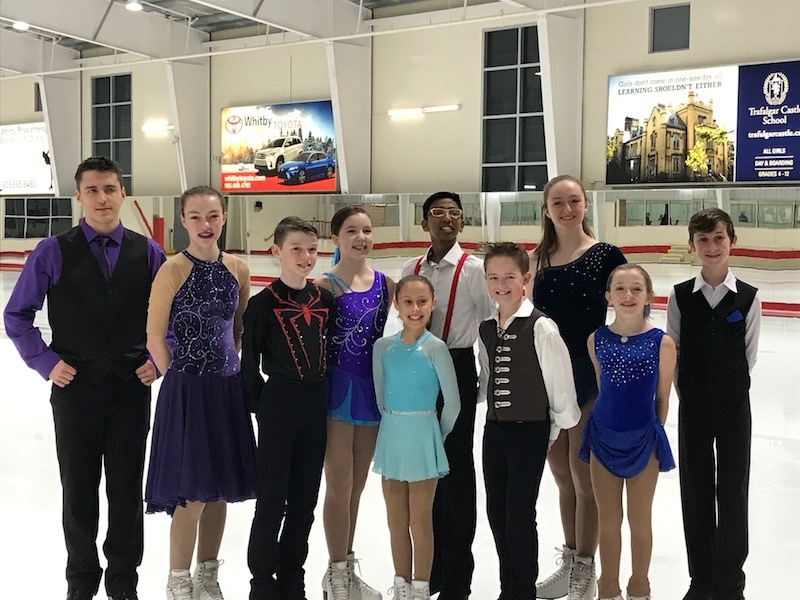 The Whitby Figure Skating Club is proud to be a member of Skate Canada. We have a tremendous facility to skate in, and provide learn to skate lessons, recreational figure skating programs, competitive training, and synchronized skating through our Ice Fyre affiliate. Please click the link below to download the PDF version of the Spring schedule, with the complete listing of STARSkate and Recreational Programs offered for the 2019 Spring Season. The link includes start dates, and pricing. Registration for all programs is now open. Non WFSC members will be able to register for spring sessions as of noon on Saturday, March 9th. Please note that ALL payments for our Spring sessions must be made by credit card. Are you interested in Synchronized Skating? Ice Fyre, our Synchronized Skating affiliate, will be offering tryouts in the upcoming weeks for the 2019-2020 season. Questions about these teams can be sent directly to Ice Fyre by e-mail. If you're willing to give us a bit of your time, we're willing to take it! We're constantly on the lookout for people to help with fundraising, competitions, events, Bingo, and anything else that may fall through the cracks. If you're interested in helping us out, please e-mail us or stop by the office. Watch the bulletin boards for volunteer opportunities, and help us to make this the best experience for skaters and their families.